In the wake of Donald Trump’s shock victory in 2016, Cambridge Analytica, the secretive data analytics firm that worked for the Trump campaign and is now ensnared in an international controversy, set out to capitalize on its connection to the new president-elect. The company, partly owned by conservative hedge-fund billionaire Robert Mercer, churned out press releases touting its “integral” role in Trump’s win. Its employees took a victory lap on TV. And most importantly, Cambridge looked to bring in new business by pitching itself as the cutting-edge technology firm that put Trump in the White House. Mother Jones has obtained internal marketing materials and pitch presentations that reveal new details about Cambridge’s post-election blitz. As we’ve previously reported, the biggest criticism of Cambridge in US political circles is that the company habitually overpromised and underdelivered on its pledges to bring a psychographic approach to how campaigns talk to voters—that is, using psychological research and personal data on millions of individuals to better target and persuade them. The firm’s marketing materials suggest that, outside of politics, Cambridge was also misleading in its pitches to potential corporate clients. 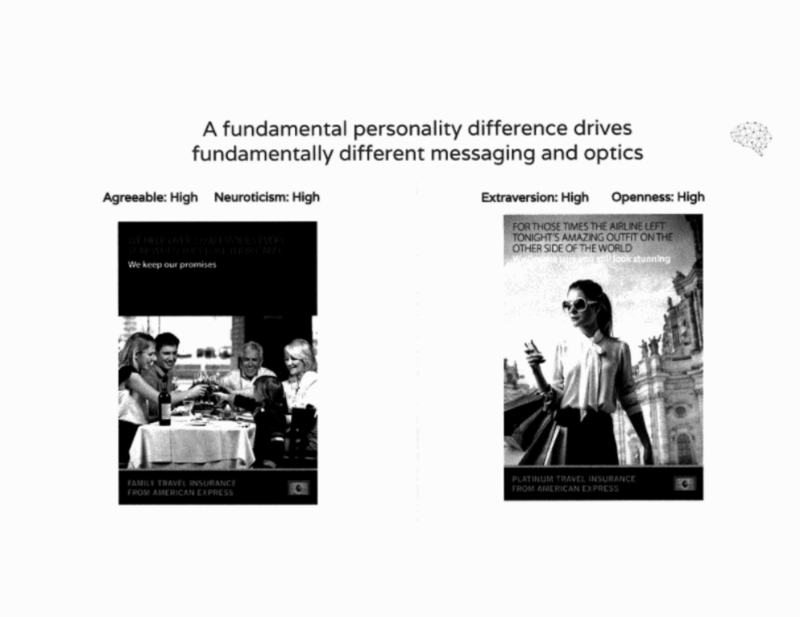 In one Cambridge presentation, entitled “Data-driven behavior change,” the firm outlines its use of “behavioral communications”—tailoring a message to a voter or a consumer based on his or her personality, such as whether the intended recipient is neurotic or conscientious, outgoing or introverted, a leader or a follower. 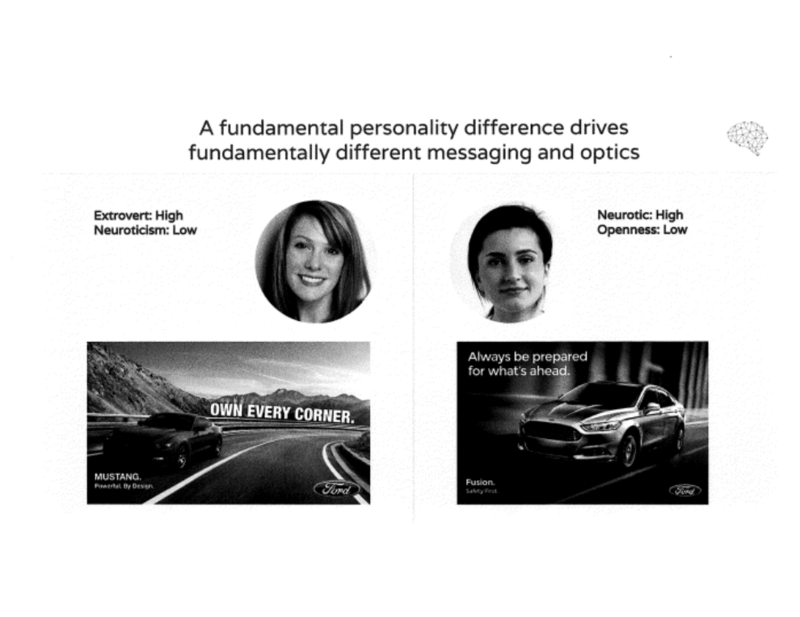 That presentation uses advertisements for Ford, American Express, and Coca-Cola to illustrate how an ad for a product could vary depending on the personality profile of the intended audience. Cambridge Analytica has never worked for American Express. Or Ford. Or Coca-Cola. A spokeswoman for American Express says it had no record of Cambridge working for or pitching the company. (It was possible, the spokeswoman added, that Cambridge pitched an agency that works with American Express, but she could find no record of that.) In fact, when American Express learned in early 2017 that Cambridge had used the company’s name in promotional material on its website, the company asked Cambridge to remove any mention of American Express. In Coca-Cola’s case, a spokeswoman says that Cambridge had pitched work to its Western Europe and North America business units in 2016 and 2017, but “we did not engage and have never worked with them.” A Ford spokeswoman confirms Cambridge never worked for Ford but did not reply to a follow-up question about whether Cambridge had ever pitched the auto company. Political consultants who work with Democratic and Republican clients say that Cambridge’s use of Ford, AmEx, and Coca-Cola in its pitch materials was highly suggestive, if not misleading. “The implication and the inferences are that they did this work,” says Bill Wilson, president of the Market Research Foundation, a conservative data analytics organization. Another prominent Republican consultant says, “We would never do that unless we were specifically calling out someone’s creative for being so good/consistent with what we were pitching a vision for.” This consultant—who has attended one of Cambridge’s pitches—notes it is hard to imagine Cambridge singling out another firm for praise in one of its presentations. Cambridge Analytica does not disclose its commercial clients. BuzzFeed recently reported that the Economist magazine and the Financial Times had hired Cambridge to gain more US subscribers. (The website for Cambridge’s commercial arm lists case studies for two unnamed media clients, a “global periodical publisher” and a “newspaper.”) Earlier news stories reported that Cambridge had also pitched MasterCard and the New York Yankees. 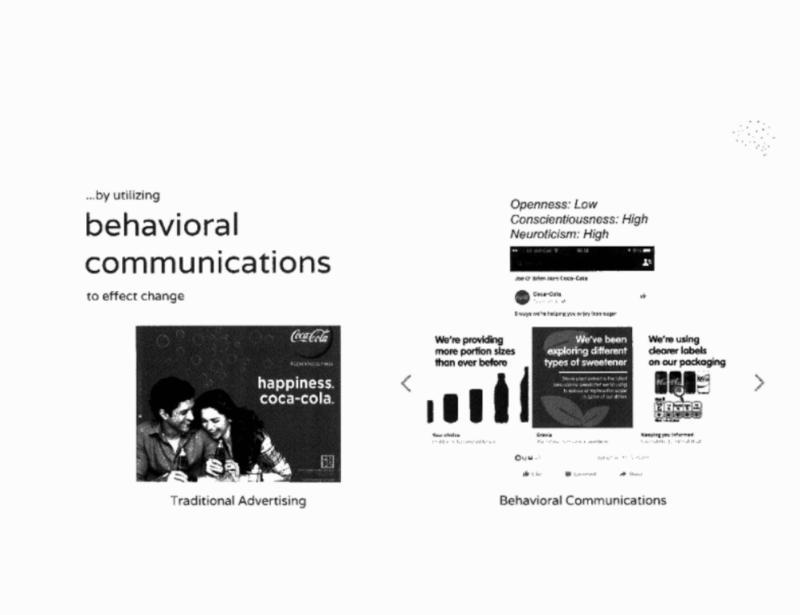 The firm’s website also says that it was a recent recipient of a David Ogilvy Award given by the Advertising Research Foundation. The foundation’s chief executive told the New York Times this week that he was looking into the allegations that Cambridge had misappropriated personal Facebook data and was considering rescinding his group’s award to Cambridge.